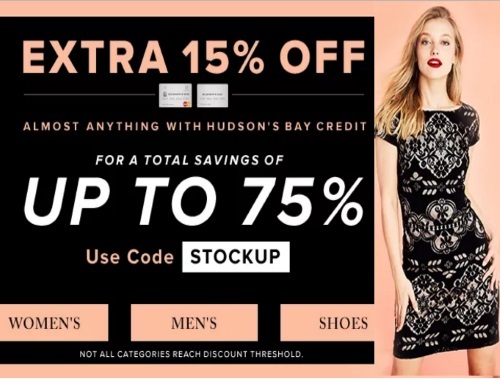 Hudson's Bay is offering an extra 15% off to their cardholders this weekend! Save an extra 15% off on almost anything when you pay using your Hudson's Bay Mastercard or credit card! With the promo code below you can get a total savings of up to 75% off! Enter the promo code STOCKUP at checkout. Offer ends Sunday, January 8, 2017.